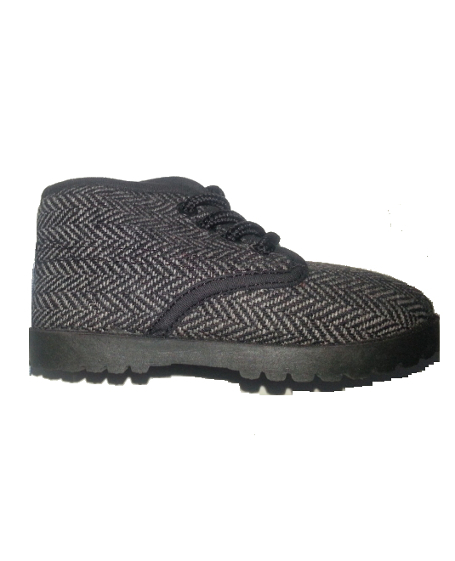 The classic herringbone tweed is playful and dressy on these wee Hi Top shoes for the well dressed baby boy. Softly constructed upper in a velvet-plush black and gray herringbone. Hard sole with treads. They run true to size. 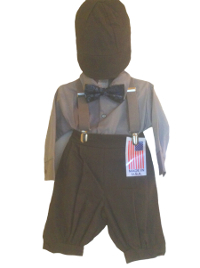 Let your lad make a statement with these shoes for his special occasion or formal event. From Pitter Patter by Ska-Doo.